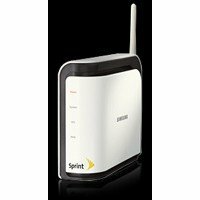 Sprint has begun to ship its Airave signal booster nationwide, enabling folks who are suffering from horrendous Sprint service in their homes will be able to get supposedly better reception by forking out another $99.99 to receive the base station at your doorstep. In addition to that initial investment, you’ll also need to slap another $4.99 monthly to extend your coverage with your current call plan, or $10 if you want to make unlimited calls via Airave with a single Sprint phone. Double that amount to do the same with multiple lines. If call quality is that important to you, I guess this little bit more you’ll need to pony up is worth every penny, but otherwise switch to a better carrier.